A rumor has surfaced indicating that a possible team-up movie between the legendary Space Sheriff and the Special Police team is coming after a recent reunion from the cast of Uchuu Keiji Gavan The Movie. According to Ayumi Kinoshita (Jasmine/Deka Yellow), a recent filming for a live-action movie, probably a V-Cinema special (or a new Super Hero Year project), has just finished last July 5, 2016. 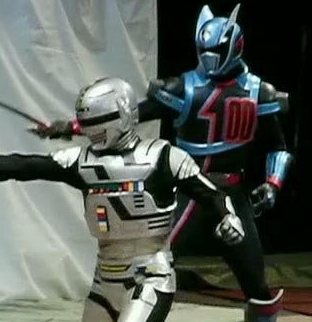 The metal hero franchise will be celebrating its 35th anniversary next year and it was confirmed that the first Gavan and Dekamaster are best of friends. If this is true, die-hard metal hero and Dekaranger fans like me will be jumping for joy again! For now, let's all take this with a grain of salt and wait for more news about this fantastic team-up! 2017? Damn, I didn't know you guys were from the future! Wasn't the whole DekaMaster/Gavan are friends thing more or less reveled back during the lead up to Gokaiger X Goseiger X Super Sentai: 199 Heroes movie via promotion leaflet? If this is true, I'm not knocking the idea at all since Dekaranger was one of my favorite series. BUT in my opinion, this sounds like something that would have made more sense to do during Dekaranger's initial run. 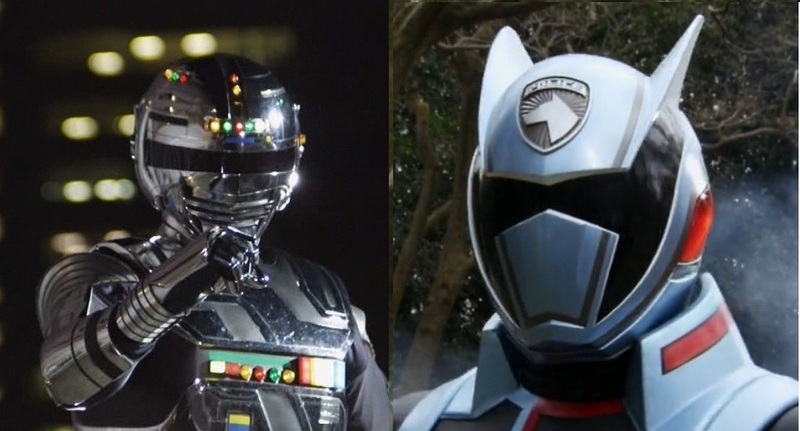 Hmm, why not include the other police themed heroes such as the other Space Sheriffs and KR's Accel and Drive? Or maybe they can save it up should they want to make another Super Hero Taisen movie (just keep Shinichiro Shirakura and especially Shoji Yonemura away from it). Maybe this can serve as a prelude to said SHT film. Dekaranger V Gavan in 2017. I think it is almost impossible for shinkenger to get this much of treatment. Since Tori Matsuzaka (Shiba Takeru) got really famous after Shinkenger which it's gonna take a lot of money to ask him reprise his role (the same things also happened to Takeru Sato/Ryoutarou KR Den-O and Sota Fukushi/Gentarou KR Fourze). Dekaranger was my first sentai. I watched it when I was real young. I'm absolutely thrilled to see the Dekarangers getting more action 10+ years later. I do wish there would be more 10 Years Afters though. It looks like Magiranger, Boukenger, and by the lack of rumors, Gekiranger all are getting passed up. I've never really been into the Uchuu Keiji series, but this may be a good place to start, assuming it's true. I still want a Magiranger 10 years after. Although I'm not certain, I feel as if there won't be a Boukenger: 10 years after. Probably not happening, as much as I would have liked it. By the looks of it, Boukenger and Gekiranger won't be happening, either, but here's hoping. Gekiranger 10 years later seems to be interesting. I hope they'll do something to get back Geki Yellow's actress.